A couple weeks ago, we hopped in the van, hit the road, and found ourselves in Louisville, Kentucky. 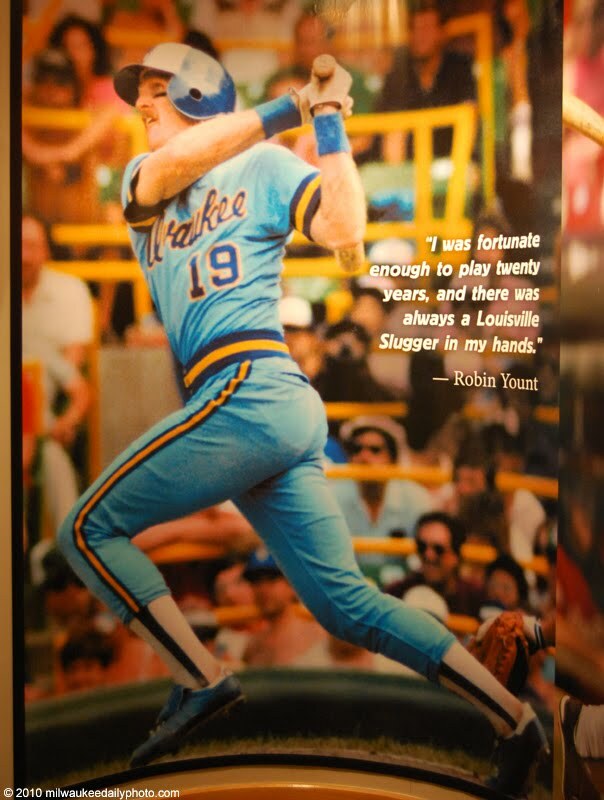 At the end of the tour of the Louisville Slugger Museum and Factory, there's a photo mural of different players with quotes endorsing the factory's bats. I saw this picture of Robin Yount, and thought it might fit well here.